These distinctive modern glass awards feature a peaked flat glass plaque crafted in jade glass with stylish silver lined decoration. 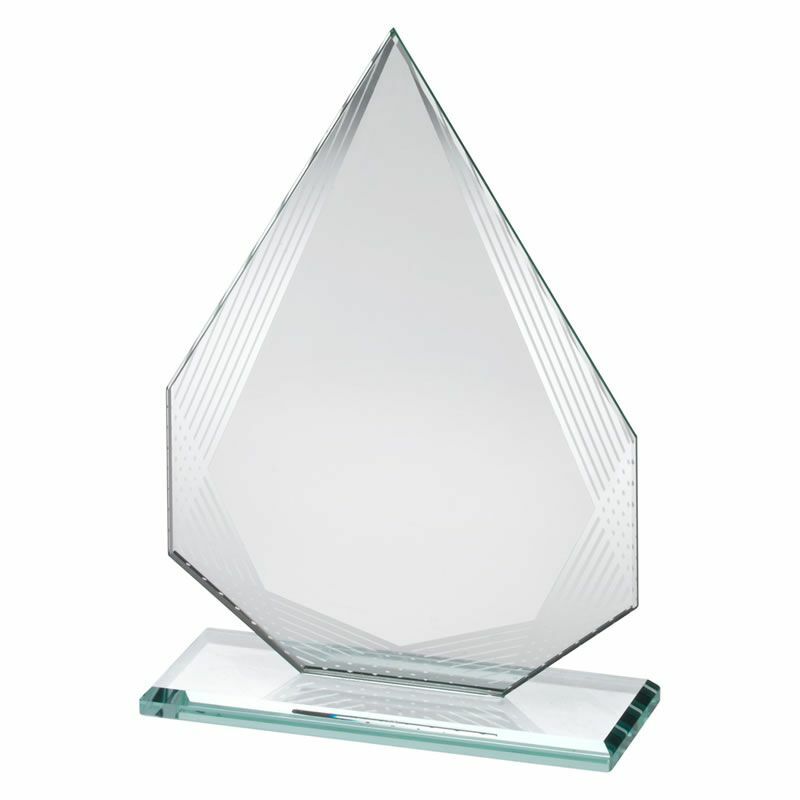 Suitable for a wide range of awards, they provide a large area for engraving. Available in three sizes, offered with text and/or logo engraving options.